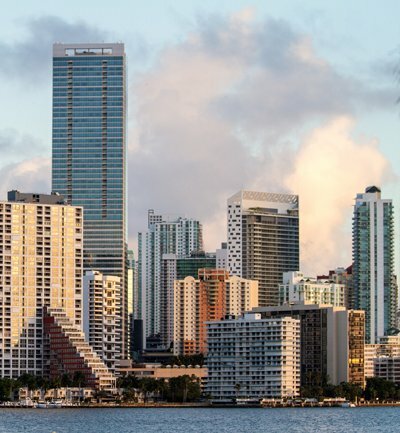 Miami’s most dense neighborhood is also one of the largest financial districts in the United States. Brickell is Miami’s urban neighborhood, with luxury condominiums and apartment towers. Offering walkability and many free transit options, Brickell treats is residents and visitors to a wide range of restaurants, shops, and entertainment. Grab coffee at Mary Brickell Villages, explore stores around and head to Brickell City Center, the newest attraction in Brickell. Make sure you stop by Quinto La Huella to enjoy Uruguayan parrillada. The best movie theater experience in town can be found here. Take the Metro Mover to 10th Street station and stop at Freddo’s for Dulce de Leche ice cream. Walk or bike south on Brickell Avenue while admiring the high-rises on the bay. Once you cross SW 26th Road a hidden gate will lead you to Mary Brickell’s Millionaires Row. The first magnificent Miami homes were built here in the early 1900’s. Stop at Alice Wainwright Park to exercise, play basketball or have the kids enjoy the playground while you relax with the million-dollar water views.